Social media – it’s a hot topic, a huge topic and it’s constantly evolving. Join AMA Omaha in collaboration with Randa Zalman, President and CEO of Canary and Coal, as we dive into the varying degrees of social media. How much are these meetups? FREE for all AMA Omaha members! We do ask that AMA Omaha members still register so we can plan appropriately. Anyone interested in learning more about social media! Topics will vary and we will post them ahead of time on our event page. Those with beginner through expert level of social media knowledge. This is a casual opportunity to start your social media journey or to learn more about what you already know. Bring your questions and your own experiences to share! Please note that the frequency may change. However, it is our goal to bring you Social Media Saturdays at least once a month. Be sure to check our event page for exact dates and times. 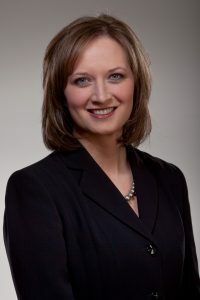 In addition to role on the PRSA Nebraska Board of Directors, she has served on the American Advertising Federation Omaha board and on the board of Insurance Advertising Compliance Association. She is a past president and board member of the Mid-America Direct Marketing Association and currently adjunct professor of Marketing Strategy and MBA programs at Bellevue University. She has a BA from University of Nebraska Lincoln in Communication Studies and Public Relations and a Master of Arts in Communication Studies from University of Nebraska Omaha.